"Matthew is a star of the future. He's on top of his papers, a strong and imaginative advocate, and completely undaunted by a more senior opponent." "… on top of his papers, a strong and imaginative advocate, and completely undaunted by a more senior opponent." "Gets to grips with cases with superb speed. He’s an excellent advocate who is very good with clients." Matthew specialises in financial remedies arising out of relationship breakdown, including divorce and cohabitation (frequently with a trusts or international element), and private law children work (occasionally with a public law slant). He considers himself first and foremost to be an advocate for the client’s cause and, in particular, an effective trial advocate well used to witness handling in complex cases. However he is not shy of giving robust advice when needed and will go the extra mile to achieve a settlement that is in the client’s interests. 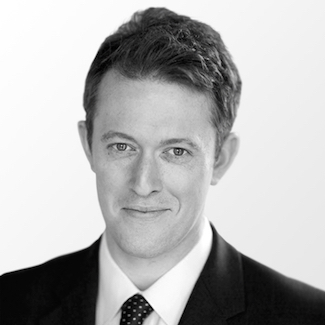 Matthew is not unfrequently led by (and up against) Queen’s Counsel in both complex and high-value cases. Notwithstanding the ‘rankings’ and chambers’ pre-eminent reputation for financial work, Matthew is - and will remain - committed to undertaking both financial remedies and children law work, whether in Central London or on circuit (in particular Wales and the West Country. Matthew retains a door tenancy at St John’s Chambers, Bristol). Matthew was invited to join chambers in 2009 following the successful completion of his pupillage under the supervision of Justin Warshaw, Nicholas Yates (both of whom have since taken silk) and Eleanor Harris. He has taught undergraduate family law at the LSE and King’s College London. Prior to joining chambers Matthew was a Lord Denning (Major) and Hubert Greenland scholar (both Lincoln’s Inn) and a winner or finalist in various mooting competitions including the Inter-Provider competition. After joining chambers he spent a number of months in 2010 as a Pegasus Scholar in the Supreme Court and Family Court of New Zealand. Finance: Jurisdiction disputes, financial remedies, financial relief after overseas divorce (‘Part III’), nuptial agreements, trusts, enforcement. Other: Inheritance Act, Court of Protection, professional negligence (in family cases). During pupillage Matthew assisted on high profile cases such as MacLeod in the Privy Council and Agbaje in the Supreme Court. From the Wye Valley, a passionate follower of Welsh rugby and English cricket. He once worked in Parliament for a now former cabinet minister.